I don’t like to over schedule the summer, but I do schedule a couple things for the kids. 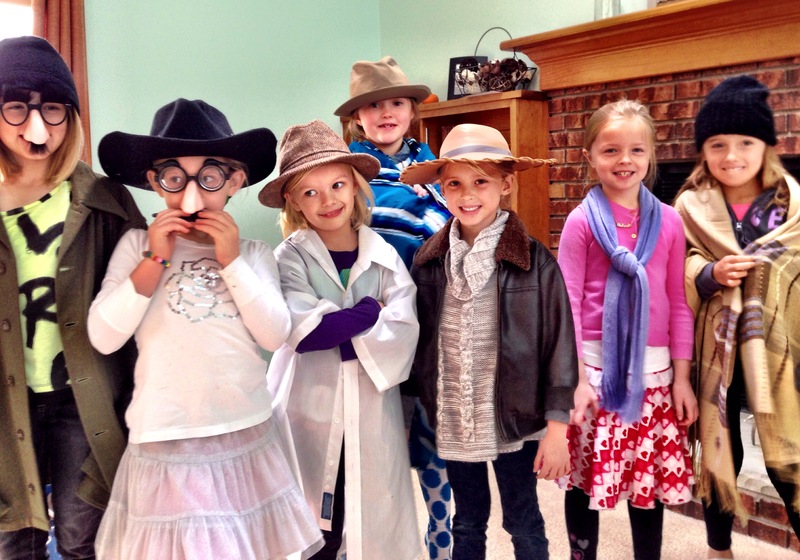 We love town swim lessons at the local pool, library visits, and the imagination station for crafts. This year I signed up my oldest for a couple extra activities and she completely panicked. The thought of something on her summer agenda was overwhelming to her, especially since she misunderstood her teacher’s instructions on how long to practice math everyday. The thought of all three of my children at home all day long with no scheduled interruptions where they won’t be asking me what to do made ME completely panic too. The teacher said ten minutes of math iXL a day; Savannah thought she said ten HOURS a day. 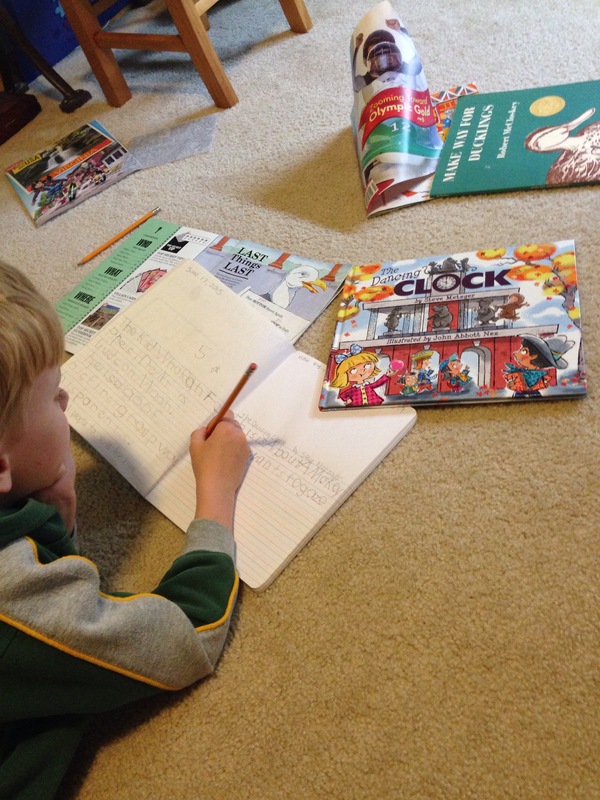 Plus of course, she needed to practice reading and writing everyday. How could she possibly complete her school work and participate in a sports camp? Once I talked her off that ledge I tried to come up with a few visual things that would help her understand that she has LOTS of free play time and LOTS of opportunity to choose what to fill it with. 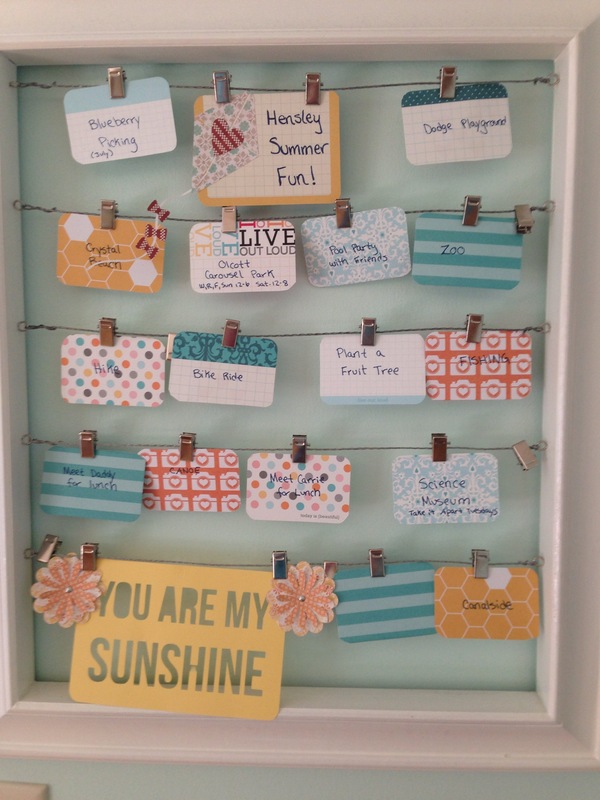 I repurposed my Silhouette Advent Calendar frame and cut up some Project Life cards to make our Summer Fun board. We listed all the fun things we hope to do and put them all on cards. I even included the days and hours the activity was open for ease of reference. Savannah was happy to see all of these ideas on the board. 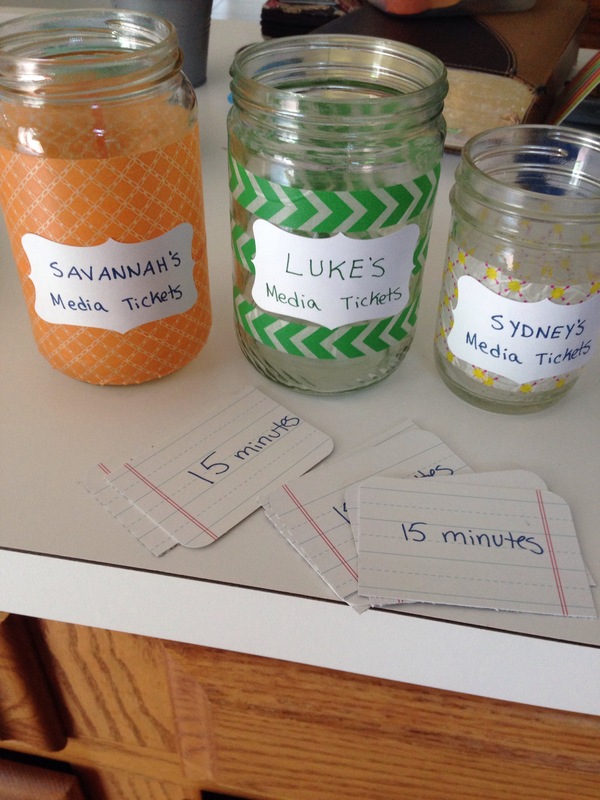 I took a couple empty jars and put some washi tape on them to make Media Ticket Jars for each child. I cut up more project life cards (such a versatile product!) 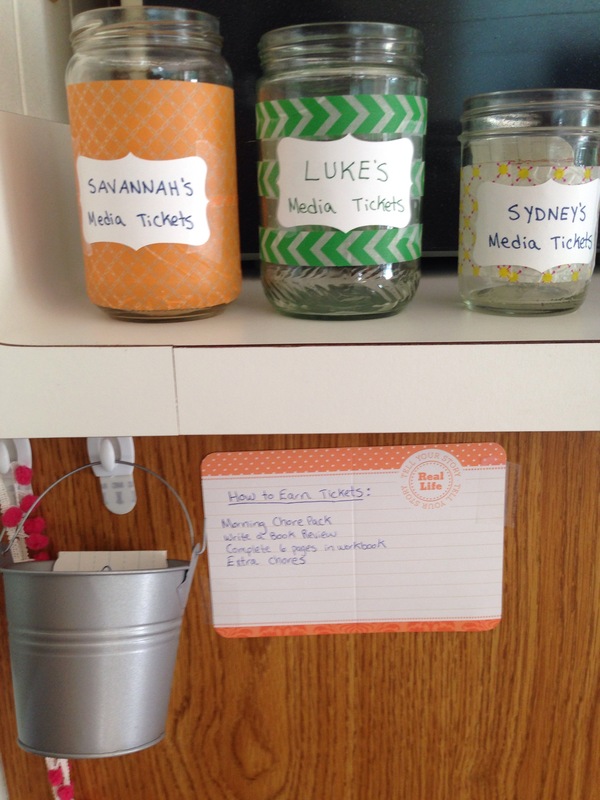 to make the tickets and put them all in a little basket by their chore pack hooks. Only problem is Savannah is now binge working on her workbook to bank up media tickets. I may have to rethink some of this, but hey, at least she is doing schoolwork without any prompting! The local library has a summer reading contest where you get entries based on the number of books you review. A brief two to four sentence review was all that was required. I have a journal for Savannah and Luke to write their reviews in and then I submit them on the library website. I’d prefer them to write out their reviews as opposed to typing because they are still developing their handwriting skills and learning to communicate via the written word. To throw in “learn to type” too didn’t seem like a great use of time! One book review equals one media ticket too. I’m grateful our kids enjoy reading. 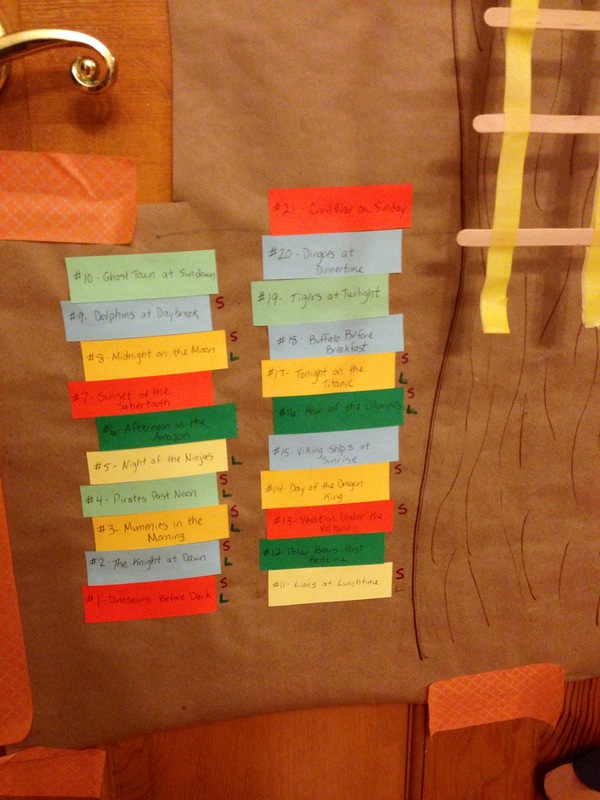 I still need to hang up a book log for easy record keeping somewhere. I keep our schedules on my phone and on our wall calendar. It’s two months at a time and is dry erase and each person has a designated color. Yes, it’s double work, but Savannah and Luke are old enough to be able to read the calendar and they enjoy having a little knowledge and control over our commitments. It also helps them understand why I may say “no” to an activity when they see we have a prior commitment. The only thing that bugs me about this set up is when, for example, July is on the left of June, but I don’t feel like moving the boards! 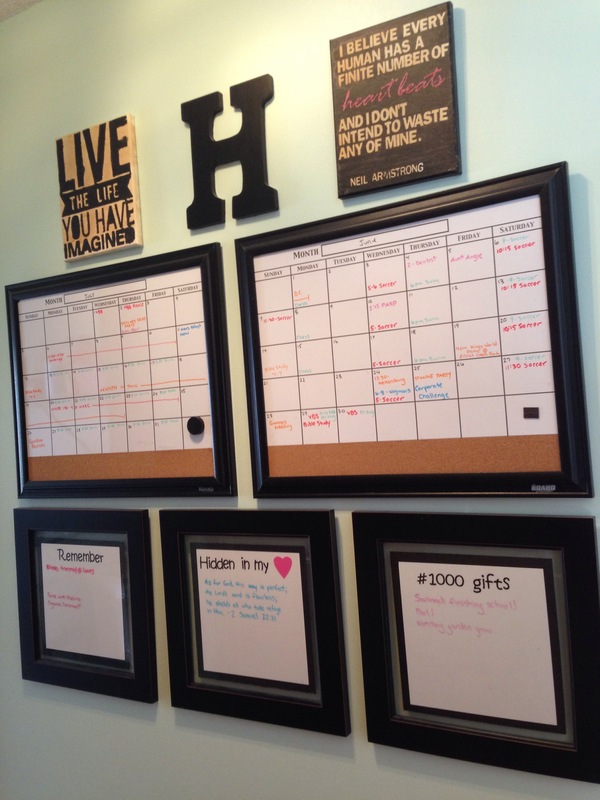 I have a couple frames underneath that we use for lists, memory verses and my favorite, the #1000 gifts board- a place to write things we are thankful to God for- things big and small. All that said, I am not very good at scheduling time with friends. Or date nights, because we have yet to put babysitting as a budget line item and freebies are pretty rare for us. I am typically a last minute person with our free time, and it doesn’t always work out to get together with friends, unless they are spontaneous people with an open schedule that day. Maybe I should work on those this summer! 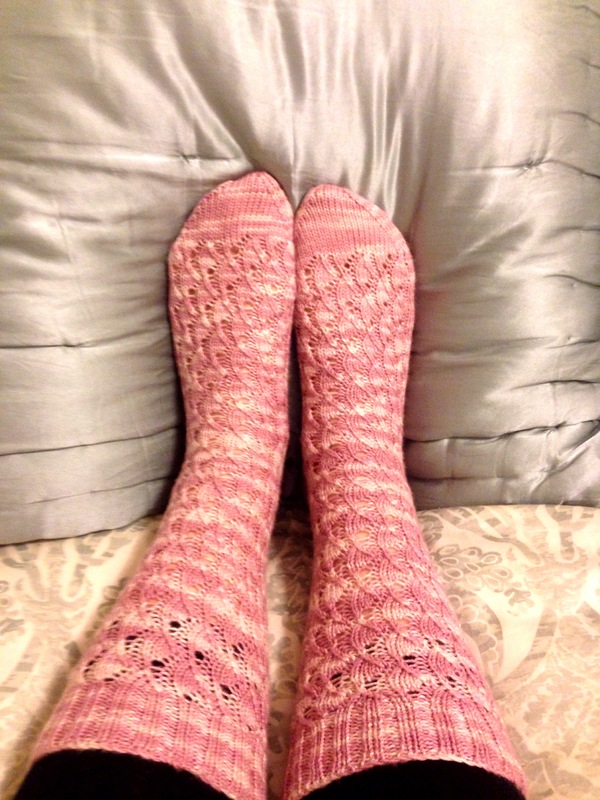 How long does it take to knit a pair of socks? Mmmm anywhere between a couple weeks and several years, especially if you are a serial project starter like me. This pair? They took about two and a half months from cast on to blocking. 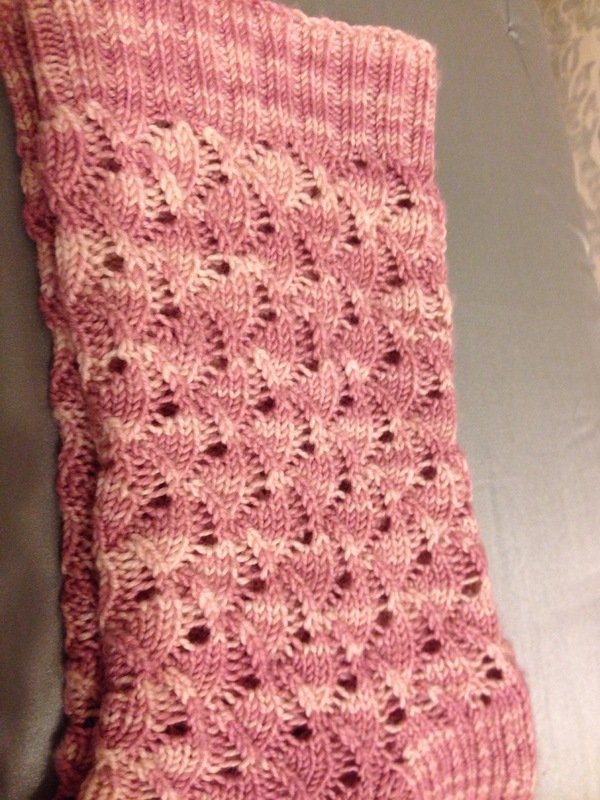 I don’t knit everyday, but I knit a ton on vacation over Christmas (helloooo that’s what vacations are for!) and then continued here and there since January. You know. In the waiting room at the doctors office. In the preschool pick up line. In the car when Keith was driving. I love these! The shell pattern, the color, the length, everything. 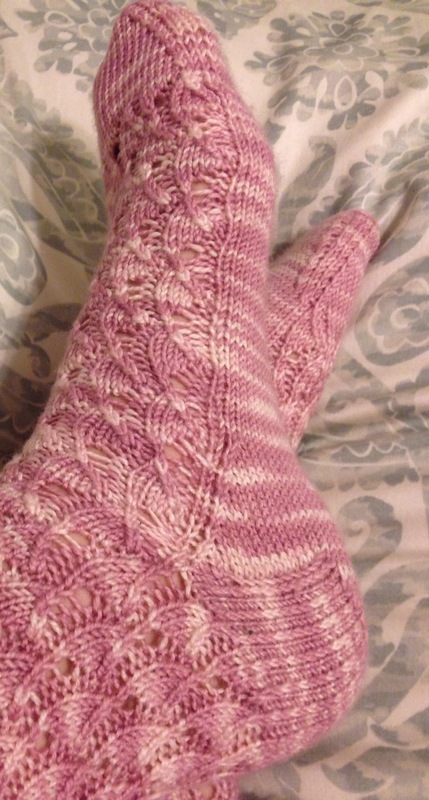 They are the perfect amount of woolly warmth and the airy pattern means you won’t sweat to death. Important, considering I finished these in the month of March and would still like to wear them despite the warm weather. Oh, wait, no warm weather here yet. 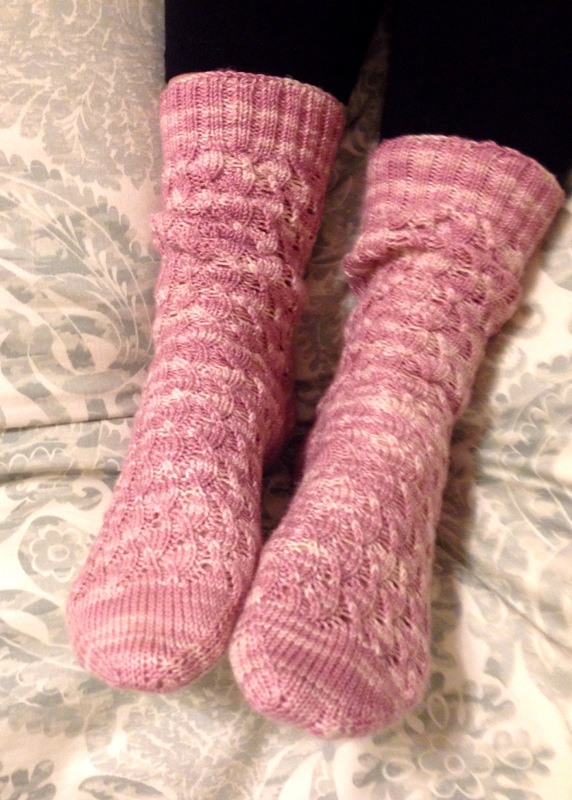 I was a bit nervous as I finished knitting these up that they would be too small. 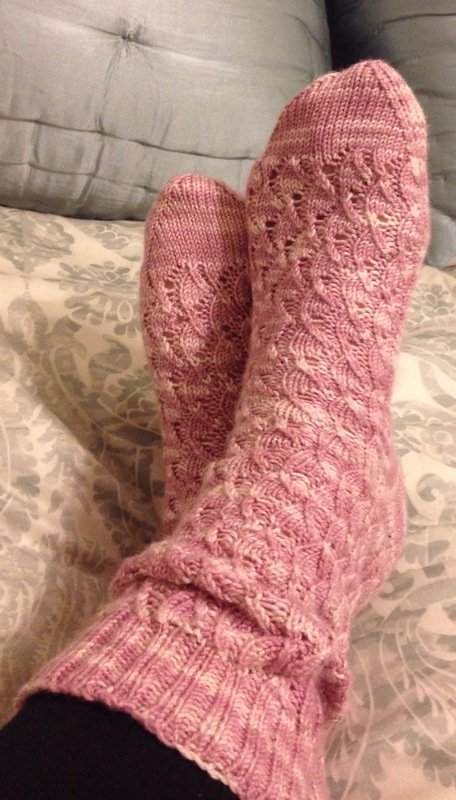 Thankfully after a good soak and blocking on my DIY sock blockers they were the perfect size. Time to put my feet up! For about twenty seconds until parenthood calls. Child’s First Sock in Shell Pattern from “Knitting Vintage Socks” by Nancy Bush. Ravelry Link. Star Wars is, hands down, Keith’s favorite movie series (saga? trilogy? double trilogy?) in the history of ever. And yes, I think he said “Luke, I am your Father” in the delivery room. 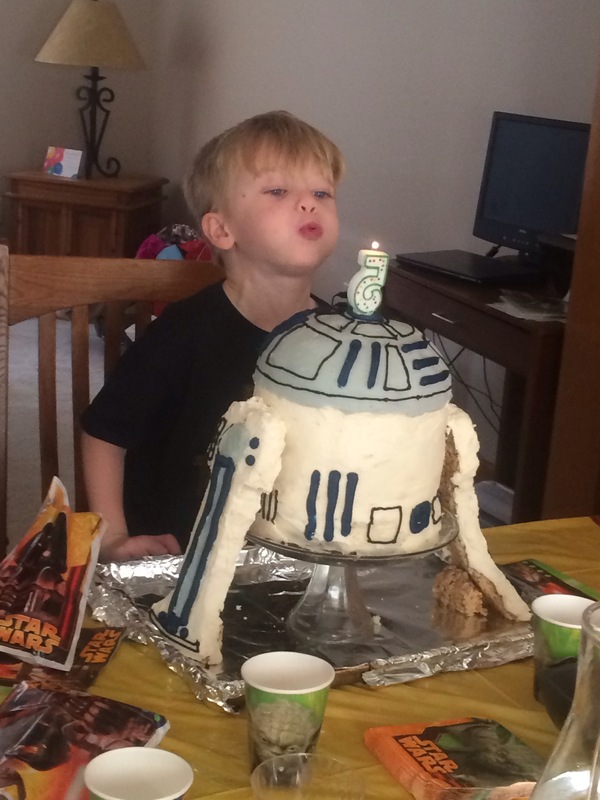 Keith has successfully passed down that love of all things Jedi to our son Luke and this year was the perfect opportunity to execute the Star Wars birthday plan. We actually bought a Star Wars themed birthday basket from a charity auction when we were pregnant with Savannah (I know, very nerdy of us) and it’s sat in the basement for seven years, and even moved to two different houses with us. The kit had goodie bags, papergoods, tablecloth and some dangly decor. I found a couple invitation ideas on pinterest and downloaded a Jedi font from dafont to make them. 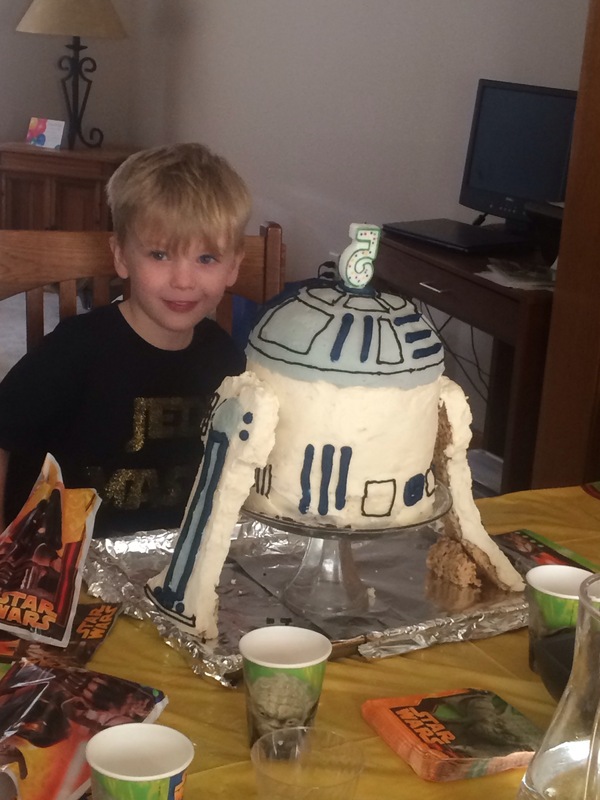 I went a little crazy with the cake and created R2D2 out of 3 cake mixes, using an 8 inch cake pan several times and a metal bowl that I sprayed the heck out of to make the R2’s domed top. R2’s legs were made out of a pan of rice krispie treats and the whole thing was smothered in several batches of buttercream frosting. The legs were attached to the main body with shishkabob skewers. 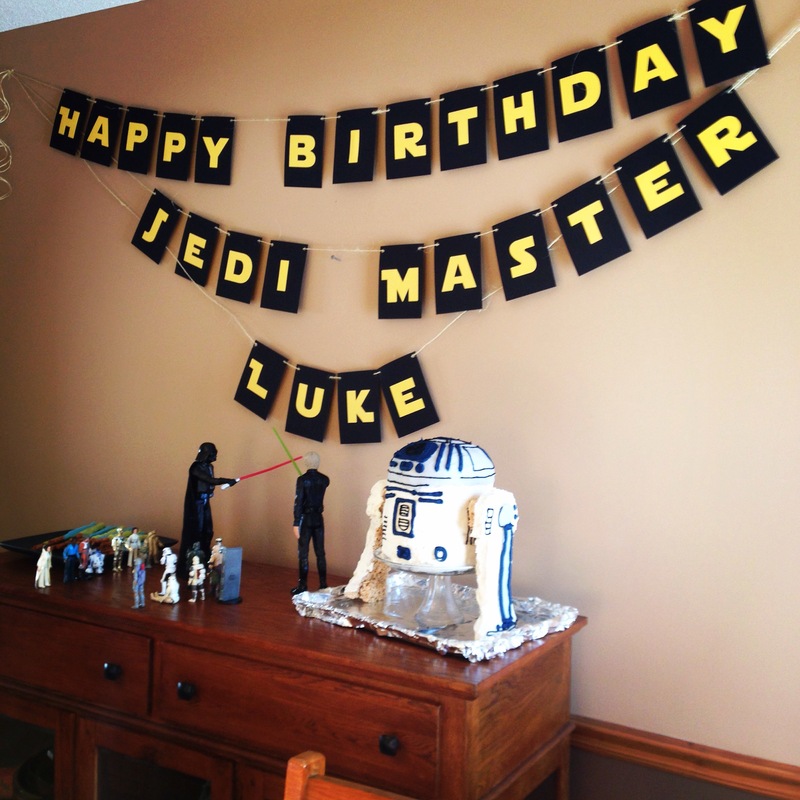 The birthday banner was made with the Jedi font on my Silhouette, and I am starting to wonder if I should start selling these? They are fun(though time consuming) to make and a cute custom addition to birthday parties. 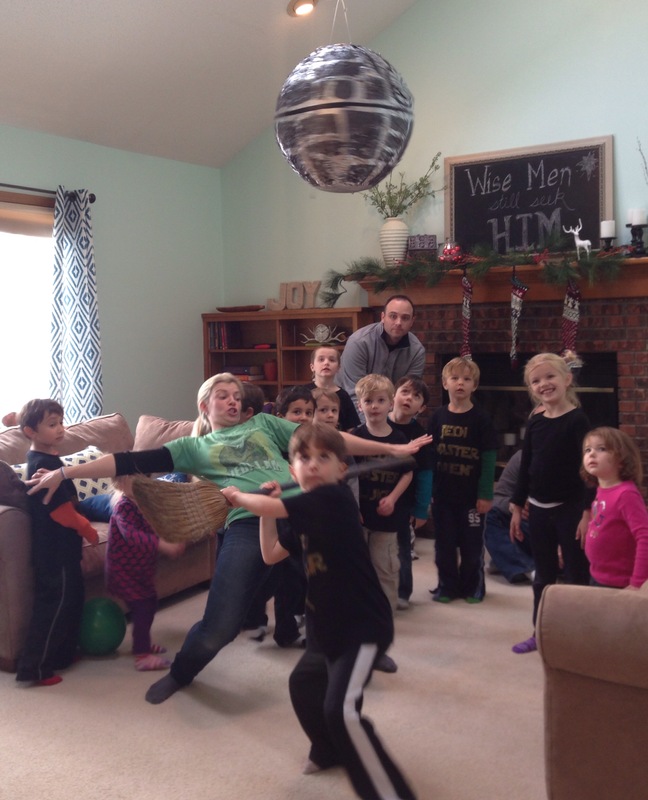 I couldn’t find a Star Wars-ish pinata locally, so I purchased a soccer ball pinata and spray painted it silver. After it dried and I filled it, I painted geometric shapes and used electical tape to make it look like the Death Star. I nixed the idea of actual goodie bags, since my house gets easily cluttered with goodie bag stuff from parties, and we made custom t-shirts for all of the guests that said “Jedi Master ____” in gold paint. I cut the stencils out of freezer paper on my Silhouette and the big kids had an opportunity to help paint the shirts. We live around the block from a children’s gym/ tumbling place and we were able to utilize their open play time for an hour before coming back to our house for pizza, pinata and cake. The foam pit was a favorite location for my kids as they acted out the trash compactor scene from one of the Star Wars movies. Culminating in my Matrix-like backbend to save the children when one of Luke’s friends swung like Babe Ruth. Despite the challenges, we are still a Pro-Legit-Pinata family. I will just set up barricades next time. Haha. Hope you had the happiest of birthdays Luke! You are a joy to see grow up into a little man! And friends… we are still working on those thank you notes… not a strong point of ours for punctual mail. eeek! Have you ever struggled with keeping your children engaged and responsible with household chores? Or do your kids have trouble simply remembering all the difficult steps there are to get dressed for school (like, go potty, make bed, get dressed, put dirty clothes in the hamper, etc). Yeah, us too. What works for us right now is using my own variation of “chore packs.” I made a set for our then four and six year olds several months back and it helps them stay on task. Our two and a half year old is asking for her own chore pack, so this afternoon Savannah and I are going to assemble one for her. I found bits and piece of ideas online and asked a graphic designer friend to add a few icons that I wasn’t able to figure out myself. There are icons for all of the basic hygiene things the kids need to do on a daily basis in the morning- go potty, brush teeth, comb hair, wipe counter, make bed, and put dirty clothes in the hamper. I keep the “morning” set on their chore packs all the time. If I need help with things in the afternoon, I’ll slip on a different split ring onto their lanyard with various chores. I have icons for set the table, clear the table, wash the dishes, feed the dog, empty the dishwasher, water flowers, pick up toys, fold laundry, put clean laundry away, sweep the floor, mop the floor, wash mirrors and windows, vacuum, take out the garbage and I have a blank mommys-choice card too that I can write on with a dry erase marker. Granted they never have to do ALL of that at the same time! But they get a chunk of chores to do on Saturdays and they usually are required to help with meal prep and clean ups every day. The best thing about this system is that I never have to ask “did you do this, this, and this?” They just know they need to complete their chore pack. When they are done, they are done. Free to do as they please. They are responsible for this wearable list, and they won’t be able to forget what they are supposed to do. 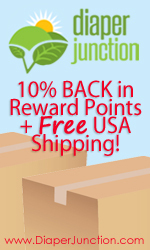 It’s right around their neck! We feel using this type of system has improved our relationship with our older kids because there is no more nagging or needing to check up on the three things we sent them to do: they are responsible. They know what to do and we know they can do it. Luke is always so proud to finish his chore pack. Savannah secretly is too, but she thinks she is “too old” for them. Which is partially true, she does an excellent job doing all of the daily tasks without being reminded. Her bed is always made every day, her hair combed and teeth brushed. But having the pack on the weekends is helpful because her tasks change from week to week. There is not a consistent routine other than you-have-chores. We also like that we are splitting up some household tasks- we say that if we work together then we can play together. While the kids do some light duty work, Keith does that too (and yes, sometimes I leave out the kids chore pack cards for him- much easier than finding paper to write him a list! ), and I clean the bathrooms and change all the sheets. It’s my hope and my heart that our kids will develop habits of discipline and of serving others through this exercise, as well as provide an opportunity to tangibly take care of what God has entrusted us with. It also helps keep our house running more smoothly to have a weekly re-set. Or two. Lord knows our house isn’t the neatest in the world… I am a creative person and us creatives tend to be messy (with seven different projects going on at a time)! We’ve been off schedule for a while, with traveling and Christmas, so I am re-instituting our Saturday chorepack mornings this weekend. We have a birthday party to attend (the whole family!) at 10 am, so my goal is for everyone to be up and moving, with the house cleaned from top to bottom before we leave. Here goes nothing! You can download the icons in two different sizes here and here. Just print it on cardstock, cut out the icons and mat them onto some colored scrapbook paper. Hole punch the tops and grab a few binder ring clips. Let your child pick out their ribbon to make the lanyard. I recommend laminating to prolong the life of the cards. 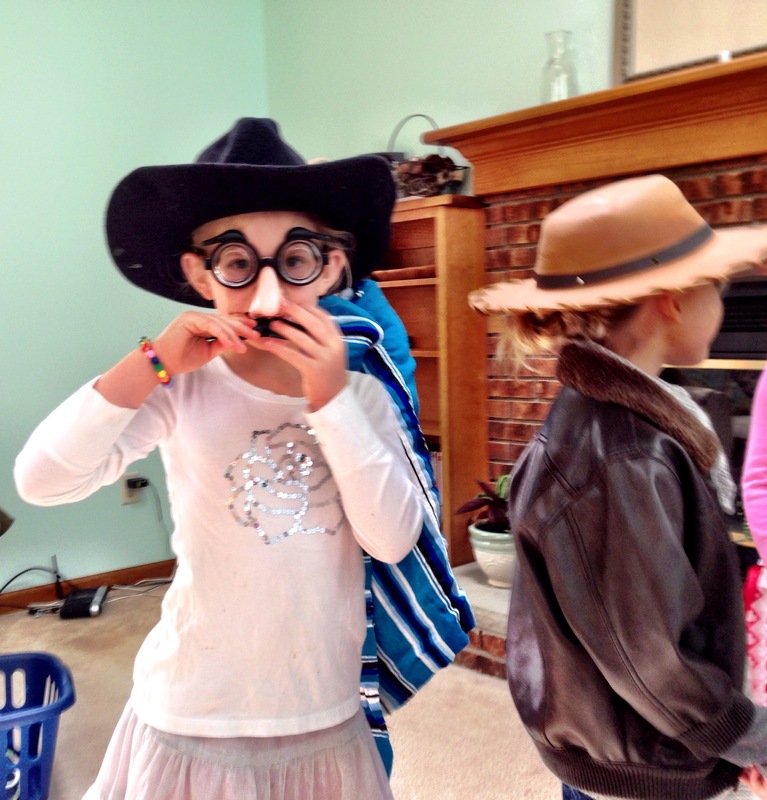 A few months back, we had an amazingly fun Spy themed birthday party for our daughter. I found bits and pieces of ideas from the interwebs and put this together. We went with a “007” theme since she was turning 7, and I found some images that I was able to import and trace in my Silhouette Studio software for the invitation and party extras. After some deliberating with fellow mom-friends and my cousin, who’s a second grade teacher, we decided to drop the gun part of the 007 bond logo. I didn’t want to make waves on the playground. But, FYI, if you include it in yours I am totally not offended. The invitations turned out really cute. We included a tiny envelope that said “Your Secret Mission” that included the URL for the flipagram we created. It was set to the James Bond theme song. Obviously. And a birthday isn’t a birthday around these parts without a custom banner and accessories. The girls were greeted at the front door with a sign, which was, admittedly, the most lame thing I created. I ran outta steam. After the girls came in, they came to our dining table where each person had a pink file folder and materials to make their own badge. We had washable pink ink pads for the girls to put their fingerprint on their badge too. I had intended to print a tiny picture of each girl and have it on their badge, but I’m no pinterest show, so I let that one slide. 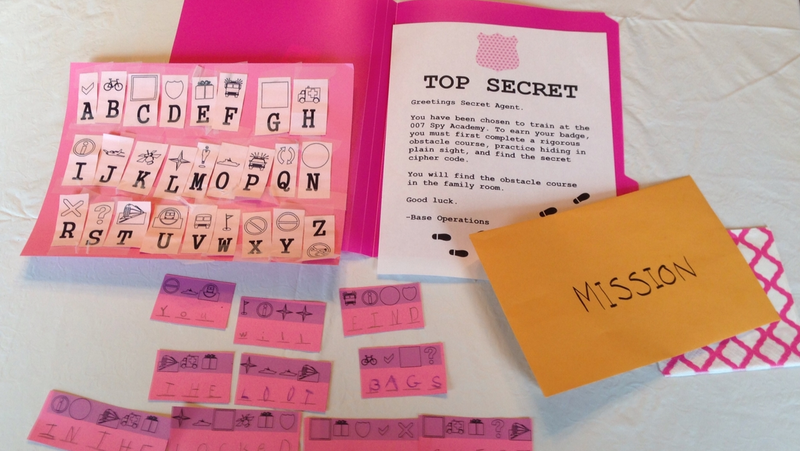 Inside each of the folders was a letter explaining what the girls had to do to complete their 007 Spy training. And my favorite- cracking the cipher code. We printed up the alphabet in a Wingdings type font on cardstock, cut each letter match out, and carefully put them inside black ballons. We dropped 26 balloons on the girls and they needed to “diffuse” the bombs to get the code. After cracking the code, we broke for lunch, after which a new mission mysteriously appeared in an envelope. It seemed Dr. No stole the “loot bags” and hid them somewhere. The new mission directed each of the girls to look for a clue on the underside of their lunch plate. The clues led each of them to a random place in the house (freezer, laundry room, piano bench, etc) where they each found an envelope containing a word written in cipher code. The girls worked together to decode each of the words and then figured out the order of the sentence. They discovered that the loot bags were inside a locked cedar chest, and where to find the key. After they found the loot bags we celebrated by having cake and presents. All of my silhouette files are available on my google drive. 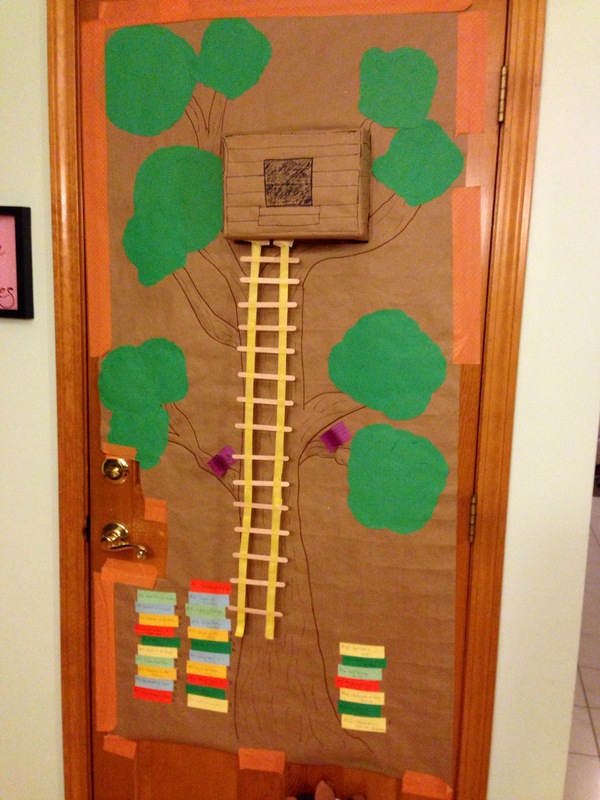 Hope you can use some of these ideas to have a fun party for your children too! I don’t always set goals for the new year, but this year I felt inspired to do so. I usually stick to my 3 resolutions every year- walk the dog every day, sleep 8 hours a night, and wear lipstick- and I restarted those on December 1st and have done pretty well. I like the combination of practical and fun resolutions that don’t require huge changes as I believe that one’s life is comprised of both big and little things. Small changes and habits can pay dividends. Why the lipstick? I’m not entirely certain where this idea came from, but somewhere along the way I heard that the right lipstick should brighten your whole complexion and your disposition. Combine this fact with my life as a stay at home mom who’s uniform is ripped jeans and a t-shirt, or yoga pants and a sweatshirt, and a little lipstick can go a long way in making my reflection a little more pleasant. Vain, maybe, but it’s an easy thing to do. I’ve categorized my goals for 2015 into six categories: Faith/ Personal Growth, Marriage, Mothering, Creativity, Fitness, & Others. I’ll be posting monthly updates on my progress, a-la-moneysavingmom.